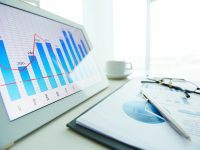 The number of opportunities for bringing Big Data and predictive analytics to bear on problems and challenges in the Financial Services industry will no doubt continue to grow but as McKinsey and others have noted, there will be a shortage of talent available for firms to take advantage of these capabilities. Even if the expertise can be found, anyone who has experience with the traditional methods for gathering business requirements for application development in financial services will look askance at the idea of turning over critical decision-making to the resulting software. Methods for assimilating information – for sorting between signal and noise – at the enterprise level will need to improve. More important perhaps than the talent will be the attitudes. As Rometty made clear in her talk, mindset and culture, not technology will drive successful adoption. Which all comes back to Nate Silver’s caution: Implementation of Big Data and predictive analytics initiatives will be just as dependent, if not more so, on the knowledge and experience of the people organizations rely on to get most things done. Except now the complexity has grown, the need to make the data transparent has increased while the amount of data has multiplied exponentially and it all has to be done faster to be competitive. The challenge is in synthesizing coherent output from this environment to create value. If Rometty is right, and the way your firm makes decisions, creates and delivers value are all based on the success of your predictions, the stakes couldn’t be higher.